Natasha Tracy is a tech geek turned award-winning mental health writer. Her blog covers a wide variety of issues relating to bipolar disorder including breakthroughs in medical research, navigating the relationship between bipolar disorder and self, and the perennially raging debate of how we define and label mental illness. Tracy fully endorses the biomedical model: she argues against nonadherence to medication and reports on developments in neuroimaging and gene mapping. Even if you disagree with her on that, I urge you to check out her blog. Her research is thorough, her writing is fresh, and she’s compiled a wealth of online resources about bipolar disorder, including research developments and treatment options. The comment sections are also edifying, in part because she mediates them thoroughly (the tech geek thing probably helps). 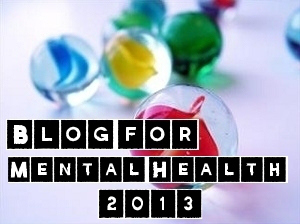 This is easily one of the best bipolar blogs the Web has to offer.